Cirrus clouds influence global climate, cooling the planet by reflecting incoming solar radiation and warming it by trapping outgoing heat. Understanding the mechanisms by which these clouds form may help scientists better predict future climate patterns. 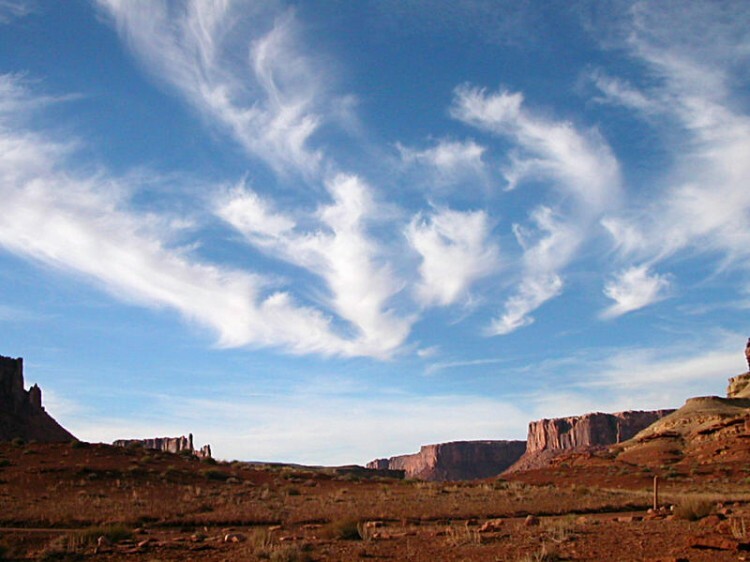 Scientists have now identified the major seeds on which cirrus clouds form. The articles around this NASA research fail to note two important facts: A) These clouds are actually created by aircraft, as is rather obvious in this photo one article used; and B) the cloud nuclei they discuss– “mineral dust and metallic aerosols”– are the ingredients used widely in cloud-seeding flares used for weather modification in the US and many other countries… more specifically potassium iodide, silver nitrate, aluminum, strontium and magnesium.